Tow Truck Insurance Lakewood Ohio – Great Rates! 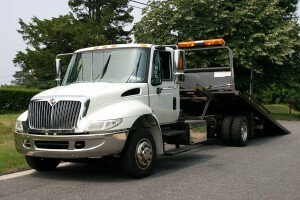 Are you looking for better service and great options on Tow Truck Insurance in Lakewood Ohio and the nearby areas? Then contact Pathway Insurance today at 800-998-0662. We are a leading independent agency offering competitive rates on Ohio Tow Truck Insurance. Our knowledgeable staff is ready to help you find great coverage for your situation. You can contact us by phone Monday through Friday 9 AM to 5:30 PM and any time seven days a week online by clicking Lakewood Ohio Tow Truck Insurance Quotes. You may recall from our last article that we posed the question of what coverage is right for your company, and discussed how the coverage you need is contingent upon the types of services your business offers. For example, should you purchase On Hook Coverage? How about Garage Keepers Legal Liability Insurance? It depends on your company’s situation and specializations. You’ll recall from last week that Tommy Two-Times is the owner of Two-Times Towing and Body, a towing and repair service. Two-Times Towing and Body will tow a broken-down vehicle to the shop for repairs, but towed vehicles sometimes have to wait overnight before they can be repaired. When last we saw Tommy, his business was doing well. It’s hard to imagine anything going wrong. And that’s when The Squeedlers came to town. The Squeedlers are a notorious gang of teenage hoodlums and hooligans. They wear blue leather jackets to signify their membership in the gang. To earn the right to wear the blue jacket, each new Squeedler initiate has to perform an act of especially malicious vandalism. One such young recruit decides to target Two-Times Towing and Body’s holding lot, seeing an opportunity to earn his jacket in all those unprotected cars. Late one Tuesday night, The Squeedlers congregate outside the fence of the Two-Times Towing and Body car lot to watch and encourage as the new recruit tosses a Molotov cocktail over the fence. It breaks on top of a 2015 Grand Prix, instantly engulfing the car in flames. As the fire spreads to the adjacent cars, the initiate tosses one more cocktail for good measure. It is “Two-Times Body and Tow,” after all. The Squeedlers award their new member with a blue jacket and the whole gang goes to a nearby Steak n’ Shake to celebrate. The next morning, Tommy Two-Times arrives at work to find a half-dozen scorched cars smoking in his lot. Horrified and furious, he immediately calls the police and then files a claim with his insurance company. Tune in next week for the conclusion of this story. Tow Truck Insurance in Lakewood Ohio – Call Us Today! Do you have questions about the coverage you need? Give us a call today at 800-998-0662 Monday through Friday 9 AM to 5:30 PM (EST) or contact us online any time seven days a week by clicking Tow Truck Insurance Lakewood Ohio.